I have often heard piobaireachd described as a theme and variations, and I think this is as good a working description as any. The first section of music you will hear when listening to piobaireachd is the theme. In Gaelic this is called the urlar. Typically the urlar is about 2 minutes long. Some are longer; others shorter. The tempo is usually (but not necessarily) slow and the phrasing may seem a little odd – in many tunes the urlar does not have clearly identifiable measures with predictable numbers of beats, or pulses. In addition, the phrases of the urlar are not always of the same length. The urlar is also where you will find the greatest variety of embellishments unique to piobaireachd. These movements all have onomatopoeic names, like hiharin, darodo and chedere. The origin of these names is in the Canntaireachd, the sung version of the tunes. Canntaireachd (pronounced cann-trch) has been around as long as piobaireachd, and was the means of oral transmission of tunes prior to the adoption of musical notation. Each note of the piping scale, as well as all the grace notes, has a sung equivalent. It is still widely used by pipers today, sometimes adapted and personalized by individual pipers. Following the urlar, the tune is restated in the subsequent variations. The variations start out simply, usually building on the main notes of the urlar, with a few gracenotes and musical pauses called cadences. Each subsequent variation adds more embellishments until the music sounds very florid, demanding a great deal of rapid, rippling fingerwork from the piper. These later variations have names like the taorluath, the crunluath and the crunluath-a-mach. After the final variation, the urlar (or part of the urlar) is played again, closing the loop of music. Entire books have been written on the structure of piobaireachd, but this is probably enough detail to get you started. If you have never heard it played, now is probably the time to listen to some tunes. 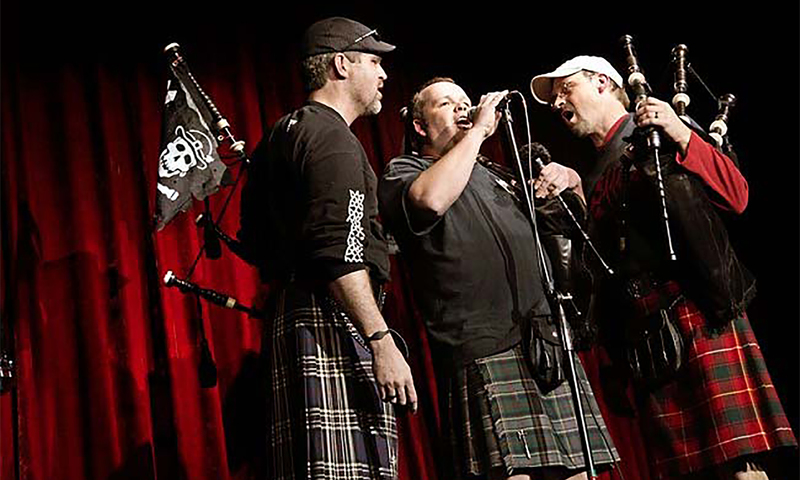 But first, what kinds of tunes make up piobaireachd?